If you’re something of a ski bunny and for your next ski break you’d like to go slightly rogue and venture beyond the traditional alpine resorts you tend to frequent (beautiful and enjoyable as they are, of course), then we have just the thing for you. From budget breaks in Bulgaria that don’t skimp on the après-ski parties to the unexpected resorts in what’s commonly thought of desert terrain (Las Vegas and Morocco, we’re looking at you), we’ve found a variety of alternative ski resorts to tempt you to take to the slopes. Move over Val d’Isère and Grindelwald, here are the new kids on the (ice) block! A Morocco getaway isn’t all sun, sand and…souks. 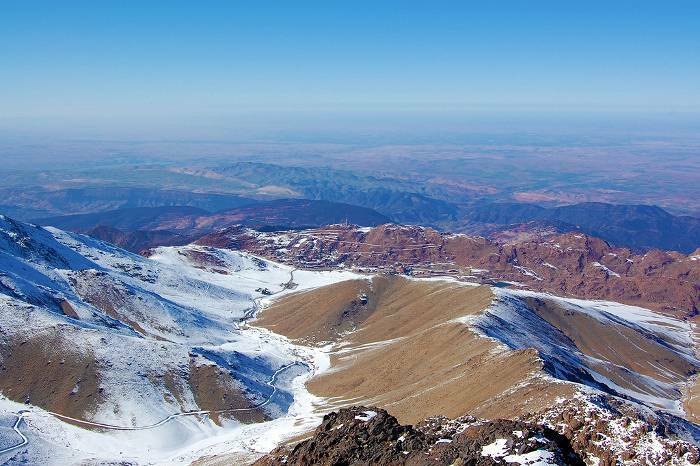 Just 50 miles from Marrakech, up in the Atlas mountains, lies Africa’s highest ski resort. Oukaïmeden offers several hotels and restaurants serving traditional local fare, as well as the all-important ski runs. All five are somewhat ungroomed, making for an exhilarating ski session that’s not for the faint-hearted or inexperienced. There’s also a ski school and ski rental facilities in the form of a line of haggling locals offering – let’s say vintage – equipment, letting you channel your inner Eddie the Eagle and setting off in true 80s sartorial style. You may also find donkeys are the low-tech alternative if the chairlift breaks down. If you’re after a budget ski break and don’t mind forgoing a little luxury, this is the resort for you. Ski pass cost: 100 Moroccan dirhams (£7) per person for an all-day ski pass. Lessons can cost less than £10 per hour. We Brits do love a holiday to Spain, and thousands of holidaymakers fly to Malaga every summer to catch some rays on the Costa del Sol. 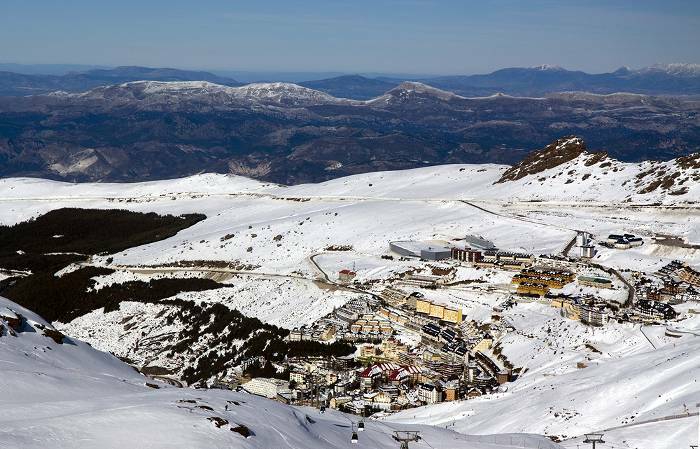 But if you’re a keen skier, take advantage of the many cheap flights to Malaga on offer in winter, and make for the Sierra Nevada National Park. The highest ski resort in Spain and the southernmost in Europe, Sierra Nevada boasts a long ski season and 100 kilometres of alpine skiing runs, with the longest, ‘El Aguila’ at six kilometres. It’s also been revamped in recent years to include the Mirlo Blanco recreation zone, offering all manner of chilly activities from tobogganing to ice skating. Note that the resort is much busier at weekends when the locals visit in abundance, so plan your days carefully on your Spanish ski break. Flying to Argentina is a long old slog whichever way you slice it, but for skiers keen to expand their horizons, it’d be pretty darn cool (in every sense) to experience the southernmost ski resort in the world. 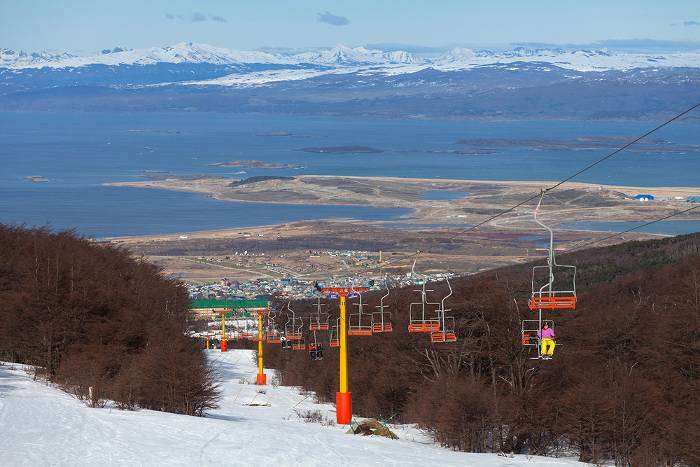 Cerro Castor’s location, 15 miles from the city of Ushuaia on Argentina’s southern tip, makes for one of the longest ski seasons in South America. It’s a relative newbie in the skiing world at a sprightly 15 years old, but in that time it’s shown it doesn’t do things by halves. 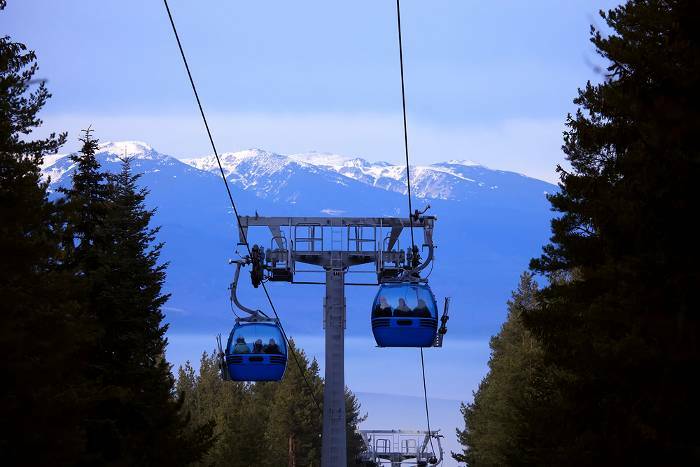 It boasts no fewer than 10 ski lifts, of the magic carpet and less exciting chairlift and T-bar varieties, all of which can carry up to 10,000 people per hour. Once lifted, visitors can enjoy the 28 trails in various ways, from skiing and snowboarding to a snowshoeing tour through the lenga beech forest. If you’re taking a holiday in Las Vegas it goes without saying that you’ll spend at least 90% of your time in the heart of the action. But if you’re feeling over-dazzled by the bright lights and sheer outrageousness of Sin City, tear yourself away from the one-armed bandits and head for the hills. 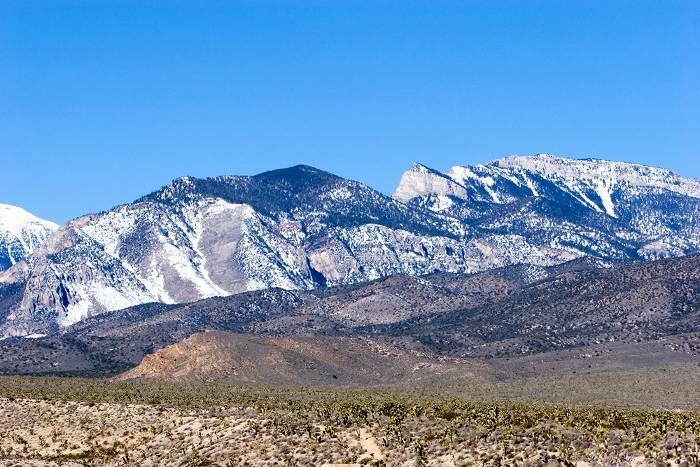 Just an hour’s drive from the Strip, in the heart of the Humboldt-Toiyabe National Forest, lies the Las Vegas Ski and Snowboard Resort. Visitors have the choice of 30 skiing and snowboarding trails, catering for all skill levels, as well as a freestyle terrain park. And once you’re all skied out, head to the Bighorn Grill for a hearty dinner and the Bristlecone Bar for a mulled beverage or two. And note that the area boasts 300 days of sunshine per year, so don’t forget your suntan lotion! Japan‘s impressive ski scene, from Kusatsu and Nozawa with their hot spring baths to family-friendly Zao (just watch out for snow monsters! ), deserves a blog post of its own, but we’ve set our sights on Niseko as our chosen destination. Known for its abundance of light, powdery snow, Niseko is Japan’s most popular ski resort that’s making a name for itself among its nearest English-speaking neighbours like Australia. 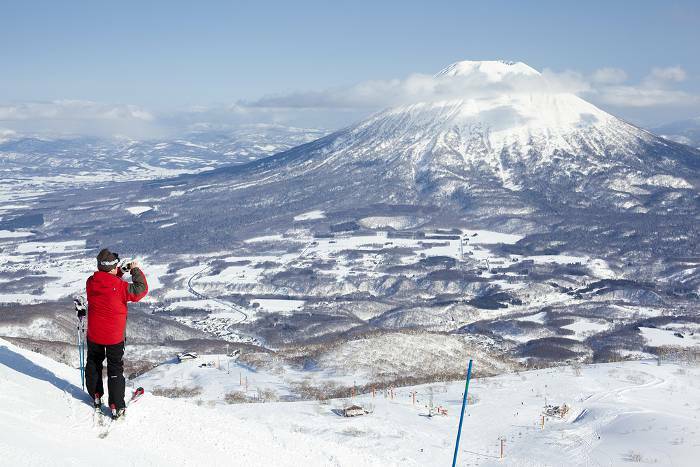 Niseko actually comprises a number of resorts, the three largest of which (Grand Hirafu, Niseko Village and Annupuri) together offer dozens of lifts and miles of ski runs, with stunning panoramic views of Mount Yotei. You can also explore the surroundings by going off-piste, a relatively uncommon feature of Japanese ski resorts. A skiing holiday in Bulgaria is a great choice for anyone looking for a European ski trip that won’t break the bank. Situated at the foot of the Pirin Mountains in southwestern Bulgaria, Bansko is the country’s most popular ski resort for its favourable weather conditions, facilities and lively après-ski scene. The resort comprises two main ski centres, Chalin Valog (up to 1,600 metres) and Shiligarnika (up to 2,500 metres). Both feature a variety of ski and snowboarding runs for all ages and skill levels. You’ll be spoilt for choice when it comes to accommodation, with everything from hostels to luxury hotels on offer. And save some stamina for nighttime frivolity; there are over 100 taverns (known as mehana) with live bands and all the mulled drinks you can handle. ← Ex‘cell’ent Prison Hotels & Hostels!